About Us - Make Every Day A Better One! Make Every Day A Better One! Sometimes big ideas just come to you. It can happen while driving, while making dinner, and who doesn't have a flash of brilliance every now and then while shampooing? The process was no different for our Grandfather. One day, he turned to his grandchildren and passed along his kernel of wisdom and bellowed a single word, "MEDABO!" "Make Every Day A Better One! Now, take it and run!" he exclaimed. We like simple. The MEDABO Principle is simple. It starts with the personal decision to think better and act better, every day, one day at a time; however, sometimes life gets overwhelming and we need reminders of the goodness that surrounds us and the good we can do. We forget about the importance of simple acts of kindness and our power to make a positive impact in the world. Enter MEDABO! It's the funny little word that sticks!! 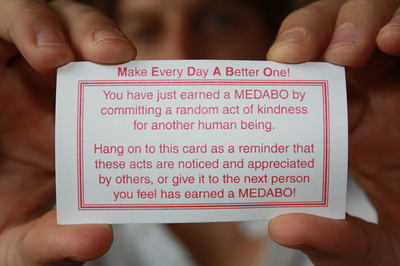 MEDABO is the reminder that even our smallest actions have immense power to create a better world and a better future for ourselves and others. In our efforts to remind ourselves to Make Every Day A Better One, we created these handy-dandy cards! For further explanation and how to get your hands on these bad boys, click here. That's right, we are starting a movement. Do you want to be a part of it? Of course you do! Learn more here! 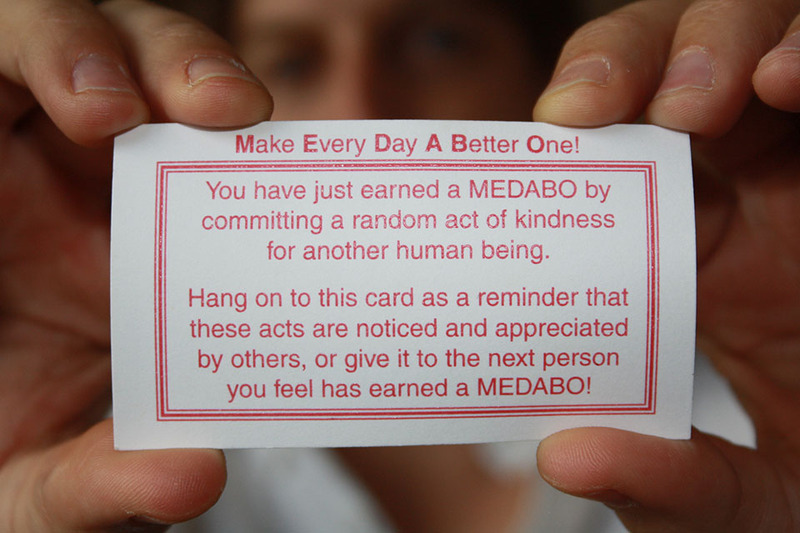 In addition to articulating the MEDABO Principle, the family took created MEDABO Days. Together, these pooled efforts taught everyone the value of working together for a common cause and about the phenomenal impact that each individual can have when he or she chooses to Make Every Day A Better One. The principle evolved into action, and the MEDABO movement began. 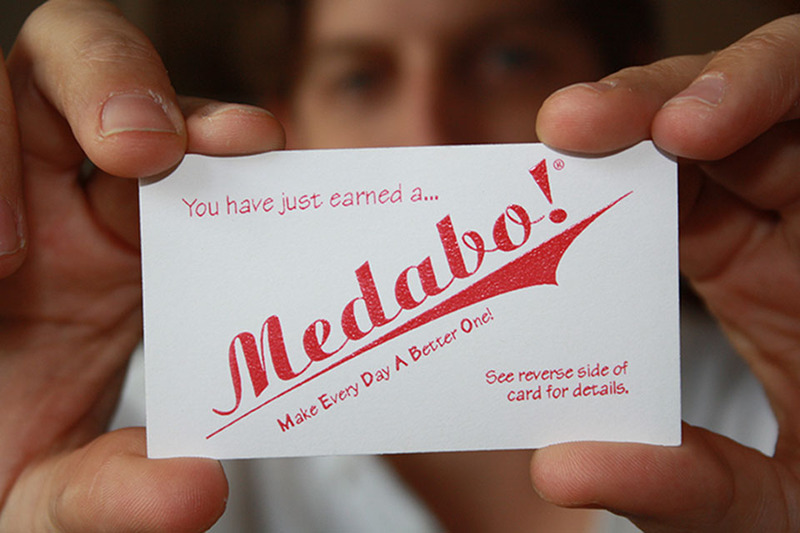 Check in here for upcoming MEDABO Days and Events!